 At Alfred, we take pride in being expert problem solvers who approach each job with unbiased solutions in order to develop the most efficient, cost effective manufacturing solutions for our customers. At our core lives a spirit of partnership and ingenuity, bound together by superior service. Our success depends on the success of our customers.